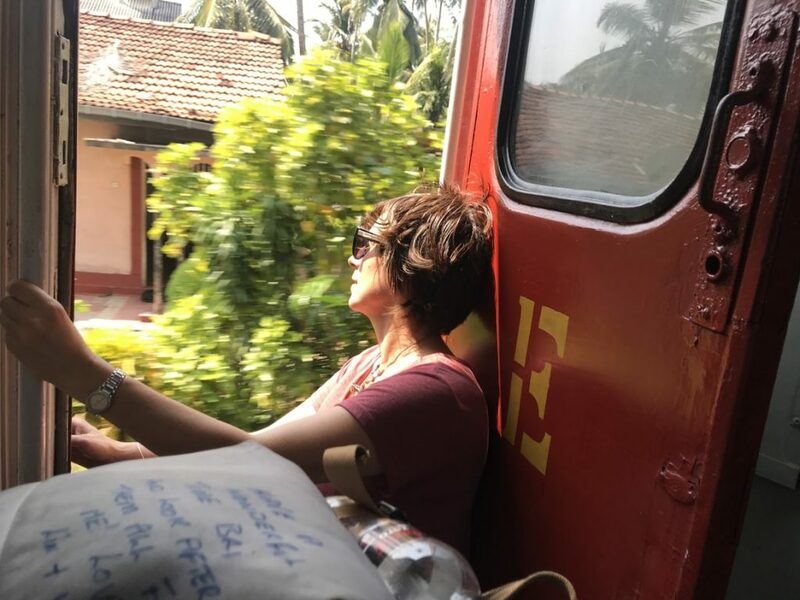 Travelling by train in Sri Lanka is the best. 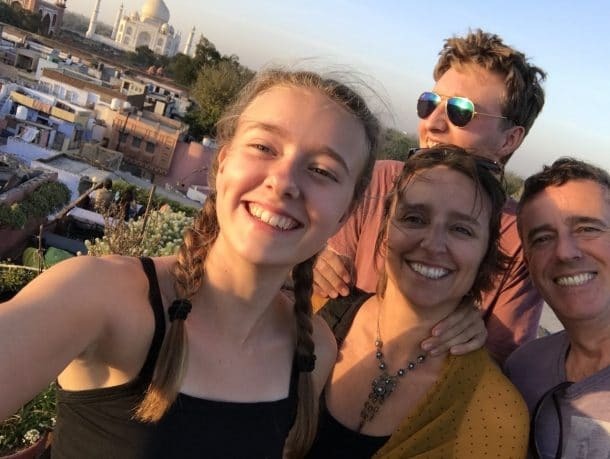 We spent almost a month in Sri Lanka with our two kids (teenagers) and after spending weeks jumping in the waves and relaxing on the beautiful beach at Miriisa, the train and bus journeys were what they found the most thrilling. If you are looking for the best train journey to take in Sri Lanka then read on. 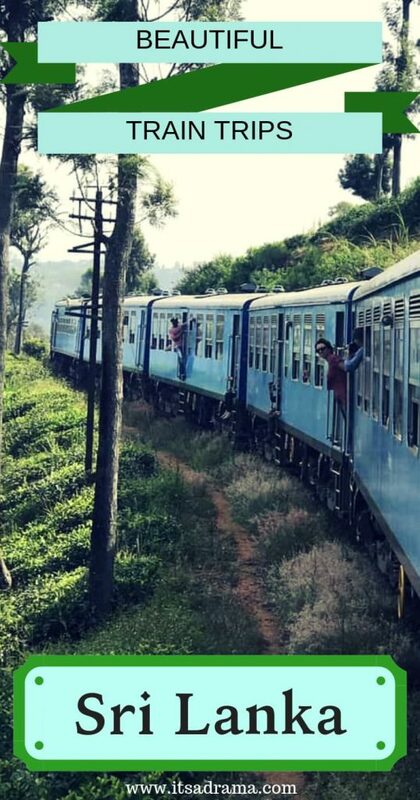 This has got to be the best train journey in Sri Lanka, if not THE WORLD! We took the train from Colombo to Kandy in the first class observation seats. This is what they call a luxury train in Sri Lanka. I’ll tell you more about these seats and whether they were worth the money later in the post. 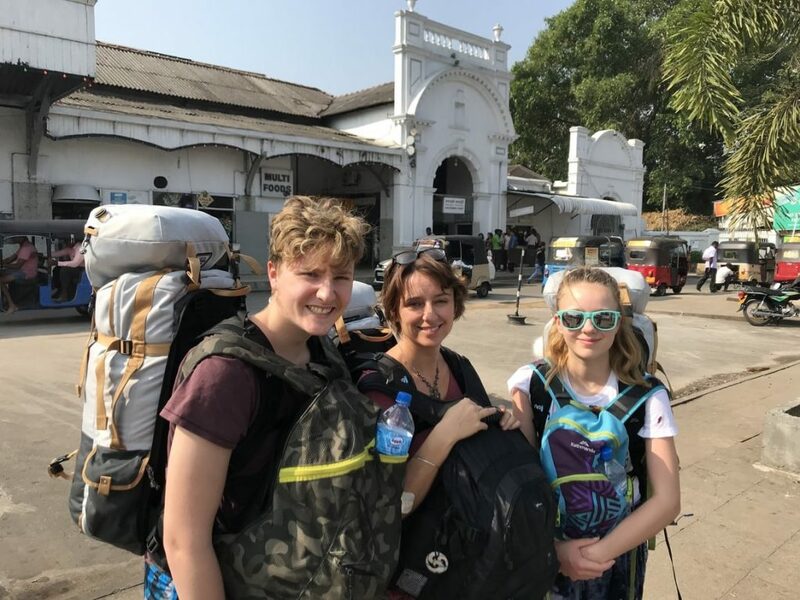 We stayed in Kandy for three days and had bought further train tickets from Kandy to Ella where we stayed for four days. We loved Ella. you must go there if nowhere else, it’s a gorgeous town. 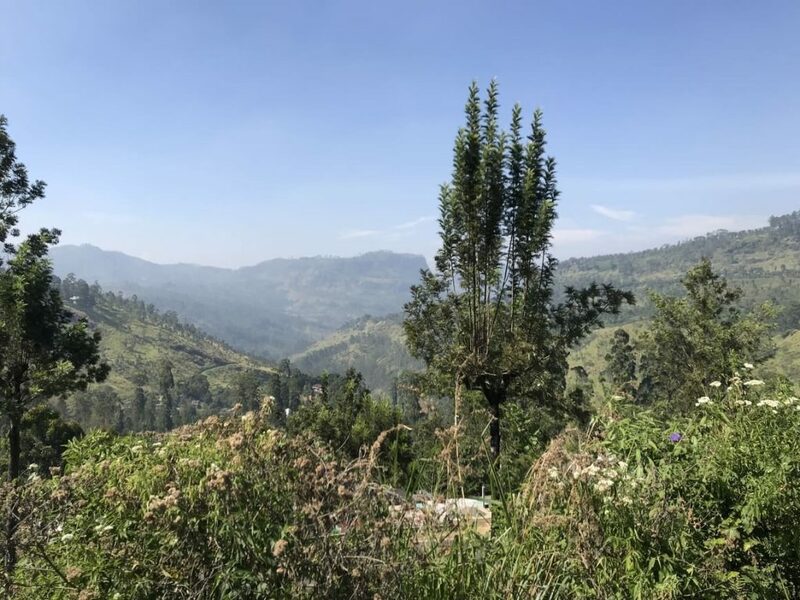 Here is a short video that my son made of where we stayed in Ella. Tunnel Gap Homestay Ella, Sri Lanka. A real find! The wonderful Tunnel Gap Guest House – Homestay that we stayed in in Ella, Sri Lanka. $35 a night for four people including amazing breakfast. Bargain! If you would like to stay at the Tunnel gap Homestay, use this link for your booking. It was beautiful and the lady who runs it is lovely. Coming back from Ella, we then got the train back to Colombo, none stop. We travelled unreserved in third class because we weren’t sure of our itinerary and wanted to be flexible. If you want to take the train from Colombo to Ella (Via Kandy), here’s how to do it. Firstly, you will need to check the departure times of the train that you want. Sri Lanka Rail has a habit of changing their timetables so to check here for the most up to date schedule. If you don’t mind travelling in 2nd or 3rd class from Colombo to Ella in an unreserved seat then you will find this easy peasy. You just turn up at the station on the day and pay for your tickets. You are not guaranteed a seat but don’t worry about this. One will come up eventually, until then, stand or sit in the open doorway and enjoy the experience. To take the train from Colombo to Ella you will buy your tickets from window 2 or 8 at Columbo Fort station. You can buy these about an hour before the train departs. Virtually all trains in Sri Lanka, whatever the route, have unreserved seating, meaning that you will never be stranded. 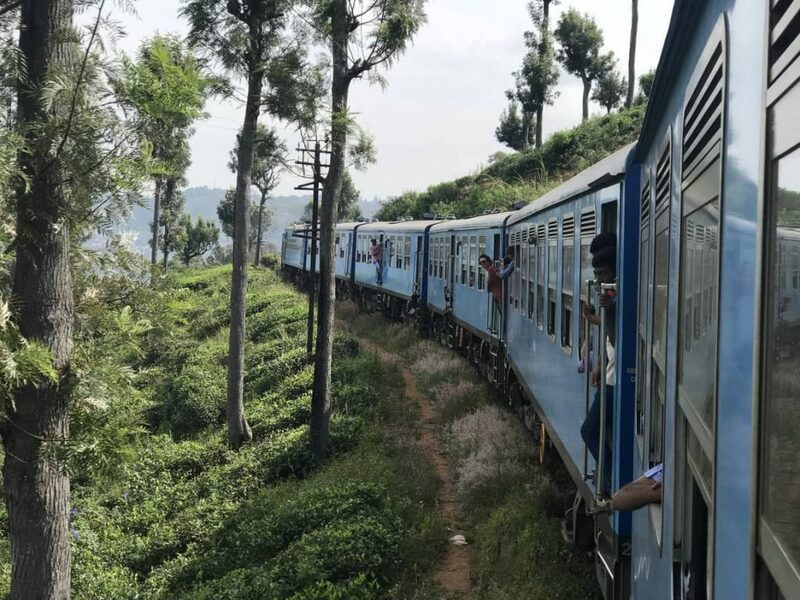 Sri Lanka doesn’t believe in saying the train is full, you just get on – even if as was the case with us, the conductor has to squeeze your backside through the crowded doors! Even if you don’t get a seat at first, don’t worry, one will come available. Until then, sit or stand in the doorway and enjoy the view! If you would prefer a little more luxury, then you can buy reserved seat tickets online to take you from Colombo to Ella in the first class observation car, first-class air-conditioned car and the second and third class cars, up to 30 days in advance. The observation seats (the ones we bought) and the first class air-con seats get booked up quickly so plan ahead. Here’s what I suggest you do. Use the agent 12GoAsia to book your train tickets up to a month in advance. We used them for all of our advance bookings in Sri Lanka and it made life so much easier. You pay online and pick your tickets up at the station. 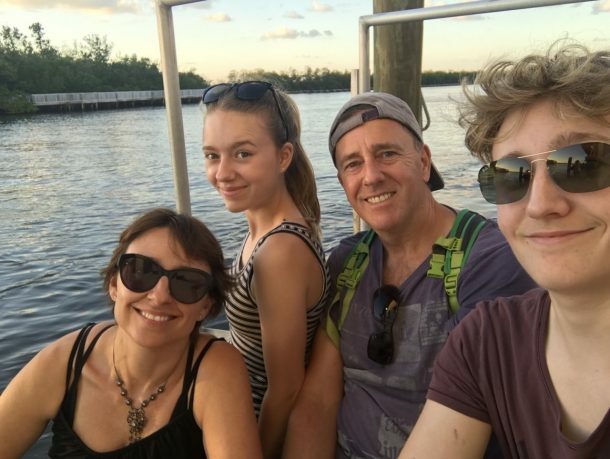 This is the method is the easiest and is completely stress-free leaving you to enjoy your trip without worrying about if you will beat the others to the best seat! DIY. If you are the super organised sort (which I, sadly am not) go to Colombo Fort station up to thirty days in advance to buy your tickets. This in itself is an experience with a real buzz, lots of little cafes selling great food and the chance to pick up a few souvenirs from one of the stalls opposite the station. If you stand to face the station with your back to the road you will see a doorway on the far left of the building with a sign that says “Counter 17”. Go into this room and you will see different counters for different locations. The window you need is in the corner on the far left. 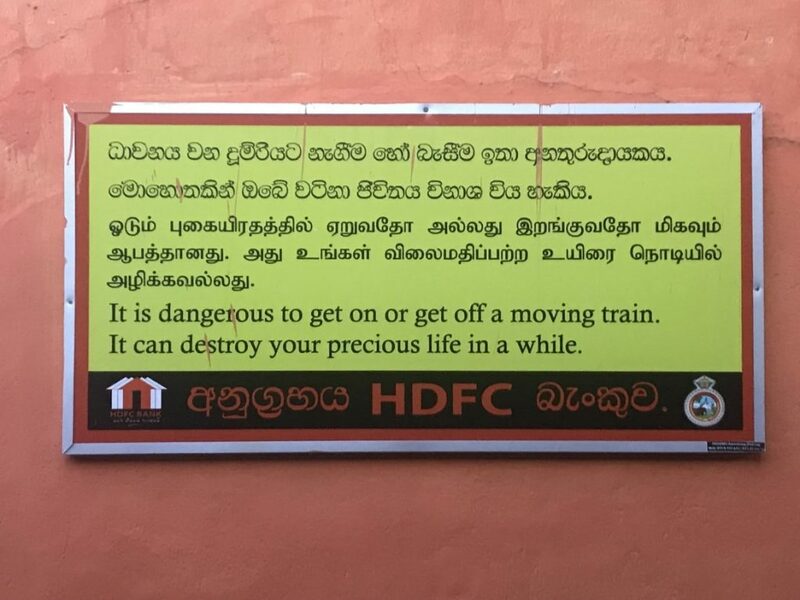 At the train station in Colombo, Sri Lanka. A hive of activity! The train journey from Colombo to Kandy can take up to three hours – depending on which train you choose. The trip from Kandy to Ella takes approx six hours, again, depending on which train you take. Some are faster than others. IF YOU ARE ENJOYING THIS POST PLEASE PIN IT AND SHARE! Paying For Seats in the Observation Deck. What to Expect and is it Worth It? 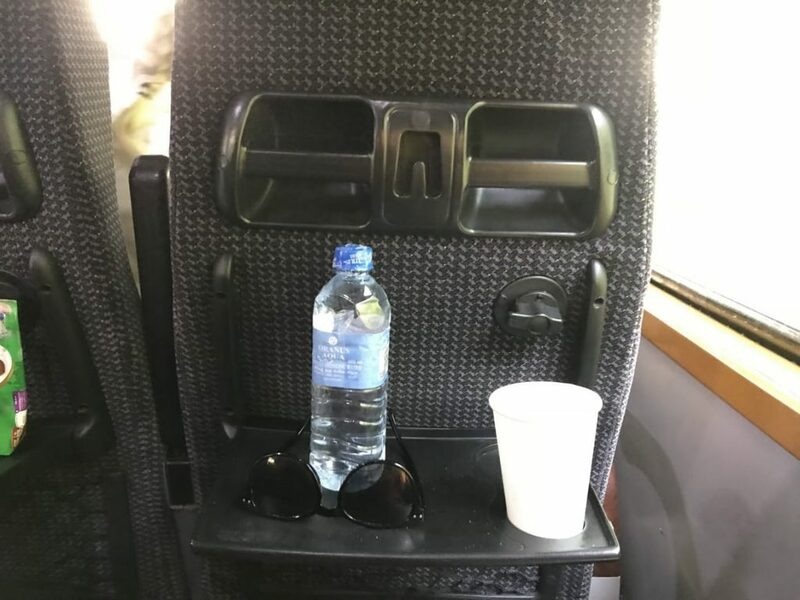 These seats aren’t cheap but it seems they are on every tourist itinerary for travel in SriLanka. Were they worth the price? Yes and no. Sorry, not the answer you were looking for, let me explain. The reasons for saying no? No, it wasn’t worth the extra money because you can’t open the windows and feel the breeze on your face. The smells of Sri Lanka are wonderous and you don’t get to experience this in an air-conditioned carriage. No, it wasn’t worth the extra money because you are going backwards all the way from Colombo. If this makes you queasy – as it does my daughter, then it’s something to be aware of. Maybe choose to get the train back to Colombo instead. Remember, you can always do what we did and travel back to Colombo in third class (unreserved). We had seats all the way back and were able to enjoy the open windows and watch the everyday life of the local Sri Lankan people. And the Reasons For Saying Yes! Yes, they were worth it because you get to sit in relative luxury and the carriage is air-conditioned. Yes, they are worth it because you get loads of leg room, a fold-down tray and the scenery is spectacular. Yes, they are worth it because you can go to the front of the carriage and see an unrestricted view of this magnificent train journey. After you have been in Sri Lanka for a while you begin to appreciate the small things in life. A fold-down tray on the observation first class train. Now tell me that’s not the best view in Sri Lanka! As seen from the observation carriage. Mirrisa Beach in Sri Lanka. What you need to know. The reason I’m going for an out and out yes! Vote? The views! The views are to die for! Making this the best train journey in Sri Lanka! So, if I was to do it again I’d say yes to the observation carriage. Absolutely! Yes, it’s more money but you are guaranteed a seat and are able to relax and enjoy the scenery. 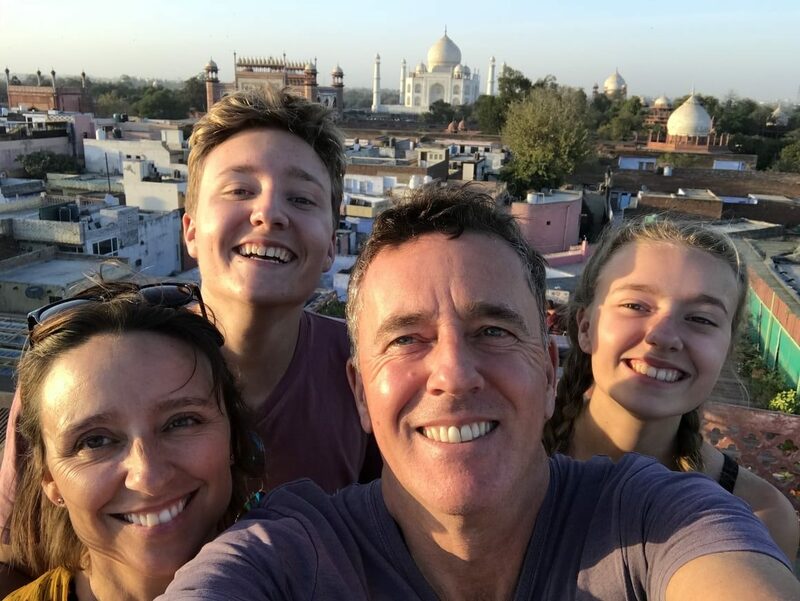 Have a fabulous time in Sri Lanka! Enjoy your trip and let me know how you train journey went! Does the Observation car ever overbook? In other words, do all the people in Observation car have seats? No. The observation car can not be overbooked. Everyone has a seat (not like 2nd and 3rd class!) that’s why it’s important to book ahead. Hope this helps.